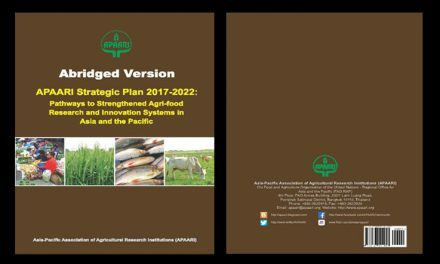 The workshop was organized jointly by APAARI, FAO, GFAR, ACIAR and Secretariat of the Pacific Community (SPC) at Nadi, Fiji Islands on 21-24 November, 2011. 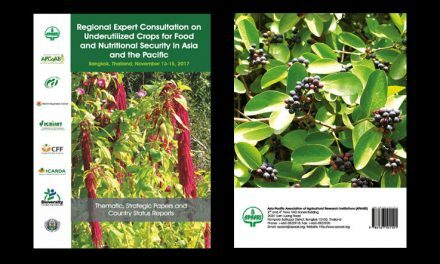 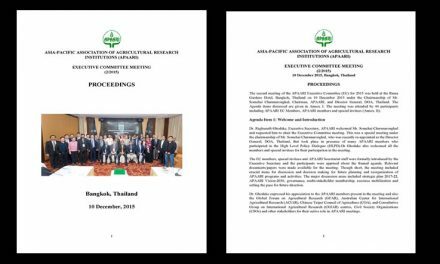 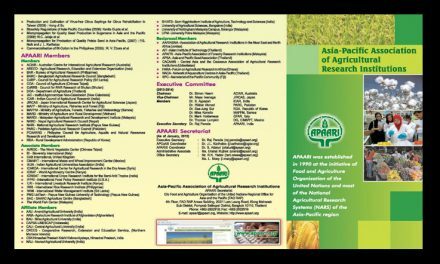 Thirty six experts in the fields of agricultural research, extension, information and communication technologies which included 16 senior officers from Cooks Islands, Fiji Islands, FSM, Kiribati, Marshall Islands, Palau, Papua New Guinea, Samoa, Solomon Islands, Tonga, Tuvalu and Vanuatu, and resource persons from APAARI, ACIAR, GFAR, FAO, SPC and CTA attended the workshop. 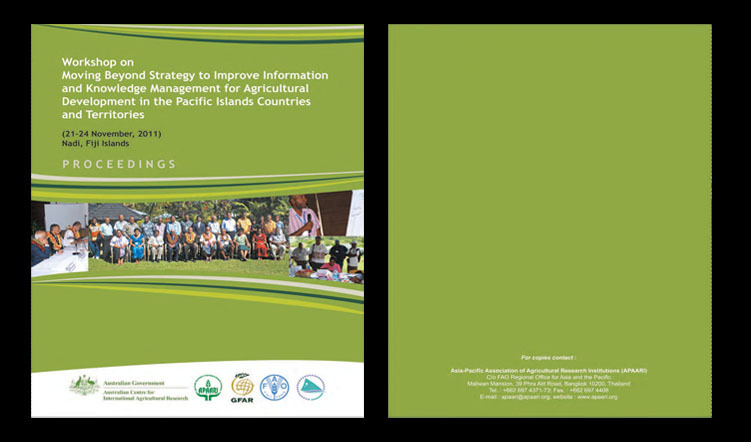 The proceedings synthesize workshop deliberations, outcome of group works and recommendations for strengthening agricultural information systems in the Pacific Islands Countries and Territories (PICTs) and improving their participation in CIARD initiative for effective sharing of information and knowledge at national, regional and global levels.